Is Your Son or Daughter Interested? Order Your Pack T-Shirt Today! 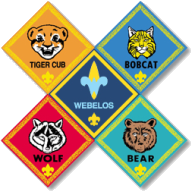 Shirts will be worn by Scouts as an informal uniform, when appropriate, or anytime they wish to show their Pack pride! Order one for every person in your family!